Gerald Marti, MD, PhD is a physician scientist who spent the last 30+ years in the US PHS at the NIH and FDA studying hematological malignancy. He is also a member of the American Society of Addiction Medicine (ASAM). As a member of the Maryland ASAM chapter, he has primarily focused his efforts in the area of continuing medical education. Currently as past-president of the Maryland ASAM chapter, he team teaches the FDA mandated risk evaluation and mitigation strategy (REMS) for the use of extended release and long acting opioids: safe use while improving patient care. His other interests include smoking cessation, screening, brief intervention and referral treatment (SBIRT), the use of naltrexone for extended-release injectable suspension for the treatment of alcoholism, the scientific basis for 12-step programs and medical student education in the field of alcoholism and addiction. He is also interested in the natural history of alcoholism. 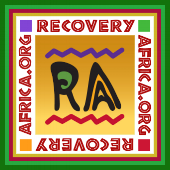 Dr. Marti went to Ghana for 14 days in May 2014 and met with Ghanaian professionals regarding the addiction, treatment and rehabilitation. He brought a box of Back to Basics books to Ghana and led very much appreciated training sessions at the House of St. Francis.